The words “concrete patio” may conjure images of a plain-Jane concrete pad. 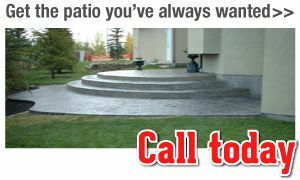 But did you know that Alberta Concrete Contractors Inc can make your concrete patio look like expensive marble? It’s true. Family-owned Alberta Concrete Contractors Inc can provide you with an attractive patio or simply deliver a smooth garage floor. We can give you a lovely walkway, sturdy steps or the basement you’ve always wanted. What makes Alberta Concrete Contractors Inc different? For one thing, we don’t use sub-contractors. From start to finish, we’ll stay with you until the job is through, saving you money. 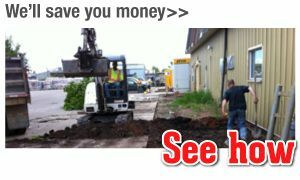 Also – unlike our competitors – we have our own excavating equipment and concrete mixer trucks. This means that Alberta Concrete Contractors Inc can pick up and deliver materials anytime and can handle any size of job, small to large. 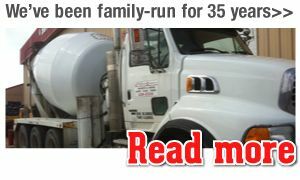 Furthermore, Alberta Concrete Contractors Inc doesn’t come to Calgary in the summer and leave in the winter, like many others. We’re here year-round and have been for 35 years. Call us for the reliable concrete services that have earned us an A+ rating from the Better Business Bureau®.